Rising sea levels will pose a serious threat to human civilization by inundating not only large expanses of arable land, but also some of the world’s largest cities. More than 100 million people live within 1 meter (about 3 feet) of sea level. Furthermore, experts are predicting that there could be at least 150 million environmental refugees by 2050. 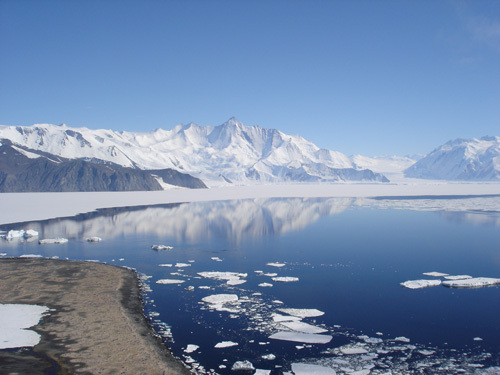 The melting of glaciers in Greenland as well as the melting ice sheets of Antarctica are mainly responsible. On the other hand, the melting ice caps in the North Pole are not contributing to the rising sea levels. This is because the ice floats on the Arctic Ocean. The fact that the ice is not as thick has nothing to do with why that ice does not add to rising sea levels. It is simply that it is floating ice, like ice cubes in a glass. It is the ice on land - glaciers and the ice sheets on Greenland and Antarctica - that add to sea level rise, as well as thermal expansion of the seawater. Moreover, reduction of liquid water storage on land will contribute as well. About 98% of Antarctica is permanently covered in ice. On average, this ice is at least 1 mile (1.6 km) in thickness. This cold continent contains roughly ninety percent of the world’s ice and about seventy percent of the world’s fresh water. The world’s oceans will rise by 56 meters (around 184 feet) if the Antarctic ice sheet melts. This alone will cause many coastal areas to be inundated. Currently, the most unstable parts of Antarctica, the six “Pine Island Glaciers” of West Antarctica and the Totten Glacier of East Antarctica could raise sea levels by 32 feet (almost 10 meters). If all the glaciers in Greenland melt, sea levels worldwide will rise by over twenty feet. Sadly, the latest reports from scientists inform us that these glaciers are melting far faster than they had anticipated. In fact, scientists recently reported that ice all across the vast glacial interior of Greenland is rapidly melting, a phenomenon that has not occurred in the last 150 years. In truth, this sudden turn of events baffled scientists. Currently, there is no place on Earth that is changing more quickly than Greenland. 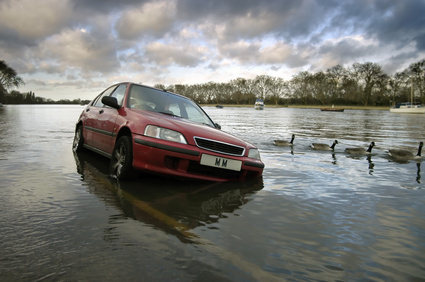 In addition to rising sea levels, this melting will also cause a change in weather patterns. NASA's James Hansen, the world's foremost climatologist warns that "If the world allows a substantial fraction of the Greenland ice sheet to disintegrate, all hell breaks loose for eastern North America and Europe." As temperatures increase, sea levels will rise directly because of a phenomenon known as thermal expansion. Moreover, as more glaciers melt, less of the sun’s energy is reflected away from Earth which will cause temperatures to rise even more. This is known as a positive climate feedback loop. In the twentieth century, sea levels rose by 7-8 inches. This variation is from negative SLR in areas where the land uplifts like Northern Canada and Alaska, to many times that amount in New Orleans, Jakarta, Virginia Beach, or Venice-Italy, due to land uplift or subsidence. 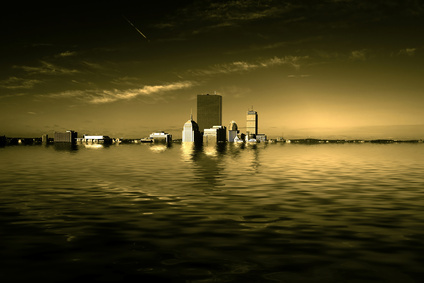 Hence, the latest projections state that sea levels could in fact rise by at least one meter during the 21st century. However, experts like Stefan Rahmstorf, Jason Box, Eric Rignot, and James Hanson are talking about the possibility of much higher potential sea level rise on our present path. 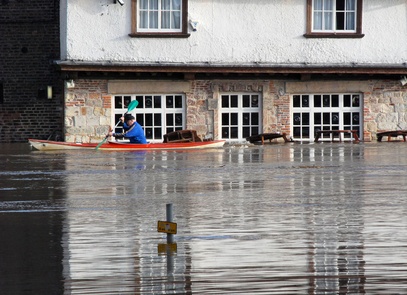 The slightest rise in sea levels will cause severe floods in low-lying coastal areas worldwide. These floods will impact agriculture and contaminate fresh water sources with salt water. It should also be mentioned that the combination of rising sea levels, changes in weather patterns, and an increase in both the frequency and strength of tropical storms would be absolutely devastating to coastal regions. According to the Internal Displacement Monitoring Centre, there were more than 42 million refugees in Asia and the Pacific during 2010 and 2011 due to rising sea levels as well as other disasters enhanced by abrupt climate change. Currently, there more environmental refugees around the world than both war and political refugees combined. With rising sea levels, there will be millions more which will have very strong social, political and economical effects. Without doubt, it is our moral duty to help stop climate change and to spread the word on mankind's great challenge. If we don't, the effects of climate change will have a tremendous impact on human civilization.